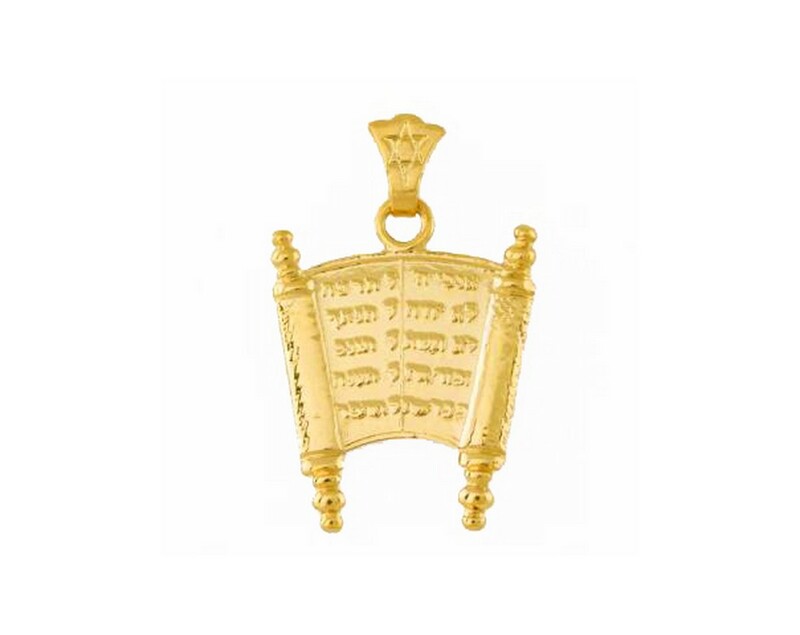 14k gold pendant is shaped in the form of an open Torah scroll. The ten commandments are written in Hebrew, raised letters. A wipe loop with a Star of David etched onto it completes this beautiful piece. Pendant is available in both yellow and white gold. Necklace chains are sold separately. To view our extensive collection of necklace chains, click here.